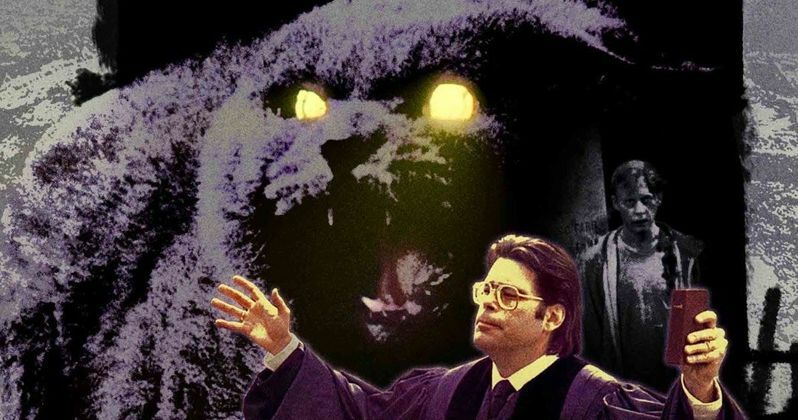 The Pet Sematary remake was announced late last fall and Stephen King fans have anxiously been awaiting any updates. Now, screenwriter Jeff Buhler has declared that the remake will be one of the scariest King adaptations ever, which is a pretty bold claim. However, if anyone would know, it would be Buhler at this time. The Pet Sematary remake is shrouded in mystery. Starry Eyes directors Kevin Kolsch and Dennis Widmyer are helming the project and some casting information has been revealed, but other than that, it's anyone's guess. Stephen King's Pet Sematary was already adapted once in 1989 to a lukewarm response. The movie did okay at the box office and received mixed reviews from both fans and critics. Since then, the movie has attained cult status, so fans of King have grown protective over the years. Expectations are high for the Pet Sematary remake, especially after the release of Andres Muschietti's big screen adaptation of Stephen King's IT. Muschietti even had his eye on directing the Pet Sematary remake for awhile before Kevin Kolsch and Dennis Widmyer jumped on board. Now, Pet Sematary remake screenwriter Jeff Buhler is promising that the new version of the movie will be special. Stephen King fans have been a little skeptical of the project, mainly because it seems that it is being rushed into production. But, Buhler insists that isn't the case and even declares that the Pet Sematary remake will be one of the scariest King adaptations ever. He had this to say. "When we first started our conversations, the director and I really connected around the idea of bringing the story back to the source material, to find a modern telling of the book that really spoke to some of the big scenes and big moments that Stephen King had originally written. And as much as all of us are huge fans of the original film, there are moments that are larger than life and feel borderline campy. Our desire was to tell a really grounded, character driven and psychologically horrific version of Pet Sematary, which in my belief, is the scariest book that King ever wrote." Already, Jeff Buhler's words prove that the Pet Sematary remake is off to a good start. Going back to the source material is a must, especially if they want to get away from the campiness of the original 1989 film. That being said, it looks like the crew are aiming to make a more "real" version of Stephen King's classic book. Buhler explains. Related: Why Did the Pet Sematary Trailer Spoil One of Its Biggest Plot Twists? "It f*cked me when I read it in high school and I always remember hearing that it was the one book King chucked in the garbage, because it was too scary and dark, and it was his wife and his friend Peter Straub who were like, You have to publish this. Now, as a father of a five year old and a nine year old, I really connected to this story of grief and loss and what it could do to a family in a different way, in that, how far would a parent go to return to their life prior to a tragic event? All of that feels so poignant and universal. It's our desire to really reconnect to those elements of the story and bring them into a world that speaks to the modern horror audience." If Stephen King fans weren't already excited for the Pet Sematary remake, they will be now. A more realistic approach to the project, paired with the idea of staying true to the source material is what any fan of a book wants to hear when there is a new adaptation being made. The only question that still remains is whether or not the remake will do as well as the recent IT adaptation. Jeff Buhler ended the talk about the Pet Sematary remake by saying, "if you love the book, you will love the movie." Let's hope so. You can read the rest of the interview with Jeff Buhler over at Dread Central.